WASHINGTON – An unclassified summary of outed CIA officer Valerie Plame’s employment history at the spy agency, disclosed for the first time today in a court filing by Special Counsel Patrick Fitzgerald, indicates that Plame was “covert” when her name became public in July 2003. To those of us watching the investigation and trial unfold, Cheney’s presence behind the scenes has emerged in glimpses and hints. (The defense’s decision not to call Cheney to the stand remains a massive bummer.) But I suspect that people looking back on this story will see it with greater clarity: As a blatant — and thus far successful — cover-up for the vice president. Secondly, the major problem which liberals discussed with regards to the Iraq intelligence was the manner in which the Bush administration distorted the intelligence reports to make their phoney case for the war. This was primarily a criticism of the Bush administration, not of the CIA. Glenn Greenwald reviews many more of the conservatives fantasies regarding Plame. We have the first clues about the type of health care plan to expect from Barack Obama. The information in the first media reports are sketchy, but Obama follows the general trend among Democratic candidates to advocate universal health care based upon our present insurance system. Obama’s plan has many of the features of John Kerry’s 2004 plan, including using aspects of the plan offered to members of Congress and reinsurance for catastrophic cases, but adds a mandate. Kerry’s plan had the advantage of consisting of voluntary methods to increase access to health care coverage, but fell short of providing universal coverage. Mandates have the obvious problem of placing government requirements on individuals and businesses, but also solve the problem of cost shifting caused by the uninsured. Universal coverage also increases the number of healthier individuals in the insurance pool, reducing the cost required to insure each individual. Preliminary reports also note that Obama’s plan will prevent insurance companies from excluding individuals for pre-existing conditions. There’s no word as to whether he will change to community wide rating, or if insurance companies could still limit care to those with medical problems by charging prohibitive premiums as commonly occurs now. There’s also no word as to whether the plan will do anything about those who currently have insurance but are under-insured due to inadequate plans. Obama will include a National Health Insurance Exchange to monitor insurance companies but there is no clear information yet as to what aspects of insurance will be more heavily regulated. While there is a mandate for individuals and businesses, Obama proposes benefits on a sliding scale to assist in purchasing the insurance. Other cost savings aspects include improved use of electronic medical records and increased concentration on management of chronic diseases. He estimates that the plan will save $2500 for the average person now purchasing health insurance. Update: A little more information is coming out. There may not actually be an individual mandate, which is preferable from a libertarian standpoint but could be detrimental from the point of view of a smaller risk pool. The National Health Insurance Exchange will not only regulate insurance companies, but will also offer an alternative product for those who do not qualify for programs such as Medicaid, but who do not receive insurance through their employers. This would include the self-employed, and small businesses would have the option of utilizing it. Private insurances will be required to meet the same standards as the new plan. This raises far more questions than it answers. The plan sounds similar to John Edwards’ proposal to create a new plan modeled on Medicare. It is not clear what Obama’s plan would be like. There would be a tremendous difference between offering a plan comparable to Medicare, as opposed to a plan modeled more after Medicaid. One difference is that Edwards would have his new plan compete with all insurances, while it appears that those covered by employers will not have this option under Obama’s plan. Of course, should there be demand to allow others in, this could easily be changed. Obama deserves continued credit for including a provision to end the waste of the Medicare Advantage plans, which I’ve already commended him for. Another notable difference is that, while John Edwards addressed malpractice in 2003-4, his current plan does not, raising questions if this is a payback in response to all the money Edwards is bringing in from the trial lawyers. Obama does include a call for malpractice reform in his plan. If one wants to take a very limited view of Gore’s book, this thead is present. Gore goes from the printing press to describe changes in how people get their news, but this is ultimately about people, not just machines. Gore is critical of the poor manner in which television presents the news, dwelling on topics such as Anna Nichole Smith as opposed to real news. If not for his partisan dislike of Gore, I would think that under other circumstances Brooks would agree with this criticism of television news. Of course Gore has far more to say on the topic, but Brooks ignores most of Gore’s arguments to make it easier to argue with him. At least he doesn’t bring up the false claim commonly heard from conservatives that Al Gore had said he invented the internet. Brooks also ignores the bulk of the book which does not fit into the narrative he invented of Gore having a theory of history entirely driven by machines. The progression from the printing press to the internet is only a small part of Gore’s book, but even this could be used as one means to summarize the history of human knowledge. This is exactly what is done in the narrative to Spaceship Earth at Epcot. 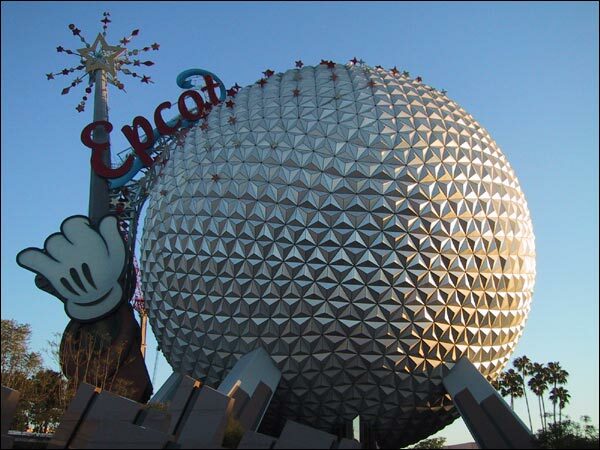 Spaceship Earth is a brief ride, and therefore it makes sense to concentrate on such means of communication in its attempt to briefly summarize all of human history. Al Gore has a full book, and goes well beyond this idea, but you couldn’t tell this from Brooks’ misleading description of the book.